Wireless 16 camera motion detector security systems are capable of providing total video security for any residence or business. These systems make installation a cinch and in addition conserve on system resources. In addition, these systems are incredibly versatile, especially when utilizing optional features. 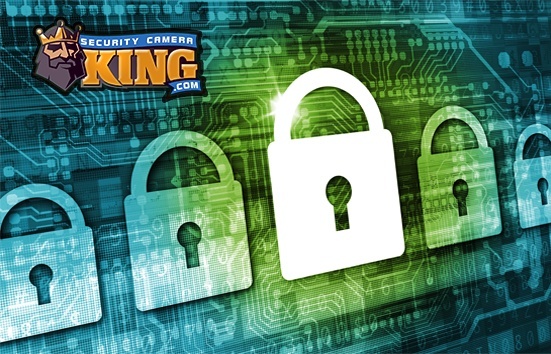 Generally, the brain or heart of a video security system is the Digital Video Recorder or DVR. The DVR normally contains a specialized computer processor that is designed to perform the tasks necessary to create and store digital video files and coordinate and control digital video camera functions. 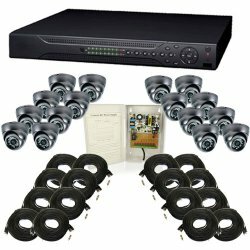 For a wireless 16 camera motion detector security system only one DVR is required, although it is possible to create 16 camera systems using a variety of DVRs with lower camera input capacities (such as two 8-camera DVRs). However, the single most determining factor for a 16 camera motion detector security system is how the cameras’ wireless video signals are handled. Each camera must have its own unique frequency or channel on which to transmit its digital video signal. It’s important to pause here for a minute to discuss the use of the term “channel” as there is some ambiguity involved with the use of the term in the realm of video security. However, often times “channel” is used to reference the number of video and/or audio inputs a DVR or receiver can utilize. In this instance a 9 channel DVR would be able to accept inputs from up to 9 different video cameras also called “channels.” For example the most common DVR units are four, eight, and sixteen channels. 2. Determining how to receive these signals. This could be done in a variety of ways ranging from using multiples of receivers that total a video output to the DVR of a total of 16 individual video channels, or using multiples of DVRs that total 16 individual video channels or inputs with each camera input using a different frequency (also referred to as a channel). In addition, modern technological advances have produced IP or Internet Protocol ready cameras that contain their own web server technology. Sixteen of these cameras could theoretically be used to create a wireless 16 camera motion detector security system as well. In these systems, each of these cameras have a built in PIR or Passive InfraRed sensor. These sensors can detect a change in infrared transmission, such as that caused by a moving object. The PIR sensors are normally connected to a relay that switches the camera video transmission on when motion is detected. The camera stops recording either after a predetermined programmed time period or when the motion detection ceases. In addition, wireless 16 camera motion detector security systems may be purchased with optional features such as day/night, Pan-Tilt-Zoom (PTZ), object tracking and many other options, all of which contribute to making these systems one of the most versatile video camera security solutions available today.